Caves aren’t a claustrophobic’s happy place. Confined spaces devoid of light — sometimes only the span of two palms — are the last things you’d want to be in. 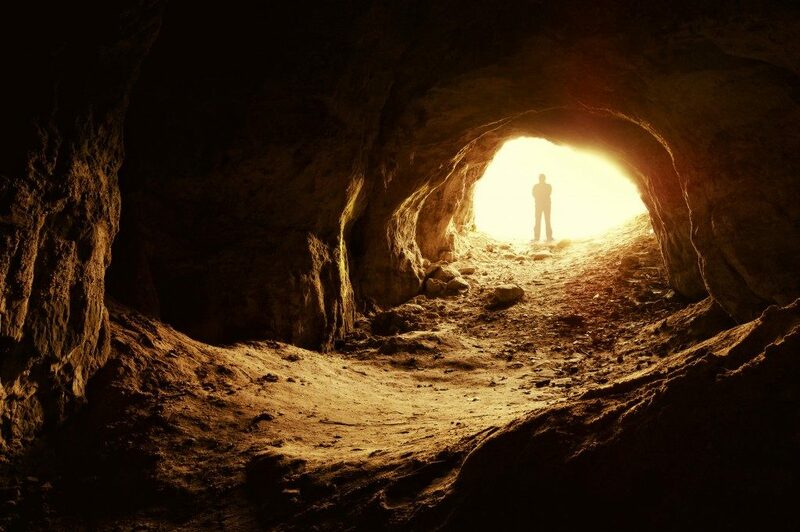 You have to admit, however, that there’s a certain high in braving the dark and exploring the unexplored, so much so that you’ve even considered visiting a cave despite your fear of enclosed spaces. The problem is, fear gets the better of you, and you quash the idea before you even think of ways to overcome your fear. Here’s the bright side of things: it’s possible to enter a cave despite your phobia. Caves may sound like a ridiculous idea, but not all parts of the cave are unbearably small. Some are huge caverns several metres high. Also, stepping into the smaller areas can help you cope with your irrational fear. The National Health Services says claustrophobia can be successfully treated by gradually exposing yourself to fearful situations. This is called desensitisation or self-exposure therapy. A word of caution, though. Claustrophobia manifests differently from person to person. When exposed in confined spaces, some experience mild anxiety, while others have severe panic attacks. Before you brave the caves, consult with your behavioural therapist or psychologist. A big part of abating your fear is knowing you’re safe. Remember, there are millions of people that have gone in and out of caves in one piece. You’ll be fine. Just make sure every cave trip starts with research. Be familiar with route descriptions, waterways and the level of difficulty. Dress properly. Caves are wet and underground — a recipe for hypothermia. There are local guidebooks and online articles that could help you on your way. Having experienced cavers with you will make your trip safer (and more enjoyable) because they’ve mastered safety practices. Plus, they have special devices that help them navigate the caves (just make sure all the Trimble parts are repaired and in working condition). It’s also comforting to know that the cave system has multiple entries and exits. If you have a guide, you’re unlikely to get trapped. It pays to know which caves are too difficult for you. Don’t agree to go on notoriously complex or deep caves that require roping and diving. As someone with claustrophobia, you never know when panic attacks come. Choose a relatively easier cave system. When you feel like the enclosure is just too tight, alert your team, especially the guide. Learn breathing exercises for panic attacks and assure yourself that you’re safe in the presence of an experienced caver. Fatigue is also a sign you should stop. The Council of Northern Caving Clubs says many untoward cave incidents are caused by people who are overcome by fatigue but didn’t inform their team that they’re struggling. During the entire route, focus less on your fear and more on the wonders around you. You’re witnessing formations that are thousands, if not millions, of years in the making. And when you step out of the cave, you’ll appreciate the fact that you’ve accomplished a feat reserved for the brave.